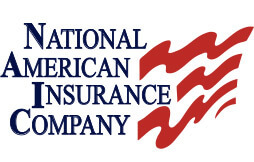 National American Insurance Company (NAICO), a regional insurance carrier providing commercial property and casualty coverage, has proudly served our customers from our home office in Chandler, Oklahoma since 1987. 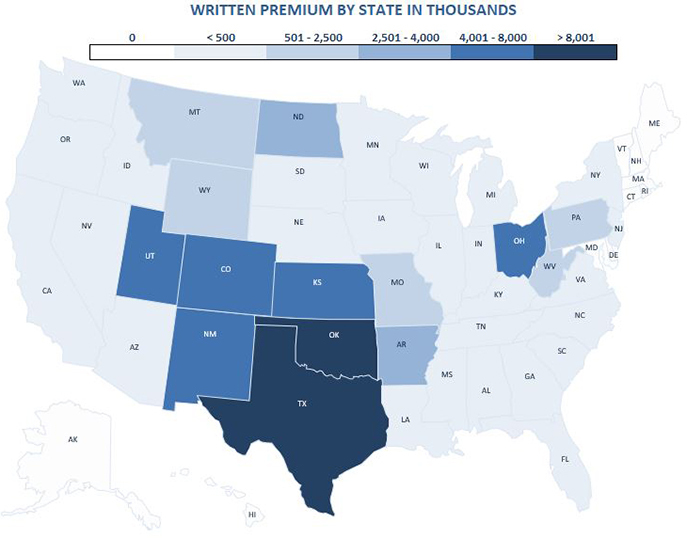 Licensed in all 50 United States as well as the District of Columbia, our premium footprint currently spans across 40 states (see map). Having a diversified appetite allows us to provide programs to suit the various needs of our insureds and having a wide range of agency partners located throughout the United States allows us to extend our reach and write coverage for some of the best businesses. NAICO proudly maintains a financial strength rating of A- and an issuer credit rating of a- from A.M. Best, both with an outlook of “stable”. * The Best’s Rating Report reproduced on this site appears under license from A.M. Best and does not constitute, either expressly or implied, an endorsement of (Licensee)’s products or services. A.M. Best is not responsible for transcription errors made in presenting Best’s Rating Reports. Best’s Rating Reports are copyright A.M. Best Company and may not be reproduced or distributed without the express written permission of A.M. Best Company. Visitors to this website are authorized to print a single copy of the Best’s Rating Report displayed here for their own personal use. Any other printing, copying or distribution is strictly prohibited. Best’s ratings are under continuous review and subject to change and/or affirmation. To confirm the current rating, please visit the A.M. Best website, www.ambest.com. Our mission is to “set the standard that others strive for…” in all aspects of our business.